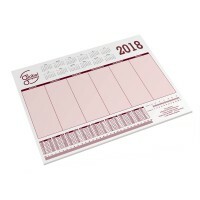 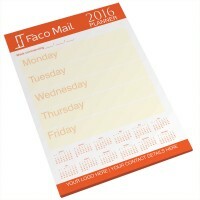 Promotional Notepads and other paper items are a fantastic way of keeping your companies logo in front of your customers. 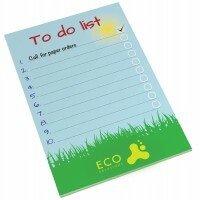 We have a huge range of shapes and sizes of pads. 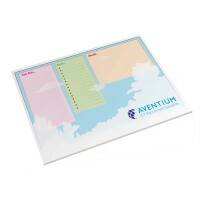 We have pads with covers, promotional combo pads, wedge pads, document wallets etc. Ideal for conferences and exhibitions. 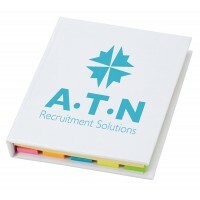 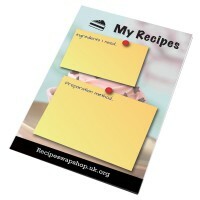 The hardbacked cover contains an A7 sized notepad, a set of sticky notes and five sets of brightly coloured page tags. 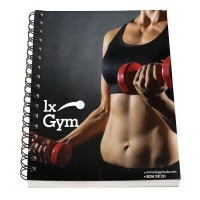 It’s branded with your company design to the front cover. 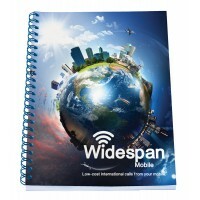 This useful Desk-Mate Pad features a 450gsm cover, which is tearproof, waterproof and UV resistant for a long-lasting product. 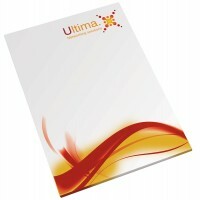 It’s supplied with 50 sheets of white 80gsm paper. 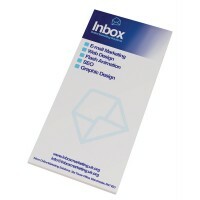 Our price includes a one colour print to the cover and to each sheet.